To be confronted with a text can lead us to open our own living world, to its expansion and saturation with something new or even with something else, something unpredictable. What then makes a human a human? Can philosophical hermeneutics say anything about that? It can! «Language is the real centre of a human being... The human is a real, as Aristotle used to say, being who has language» (Hans-Georg Gadamer). What makes a human a human is the fact that internal reflection is performed behind his voice. This is the most original topic of philosophical hermeneutics. 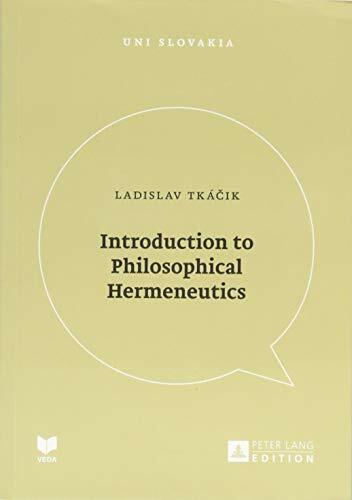 Ladislav Tkacik is an Associated Professor of philosophy at Trnava University. His research focuses on phenomenology, hermeneutics and philosophy of culture.